This November, the CPA hosted Leadership Forum in Ottawa. 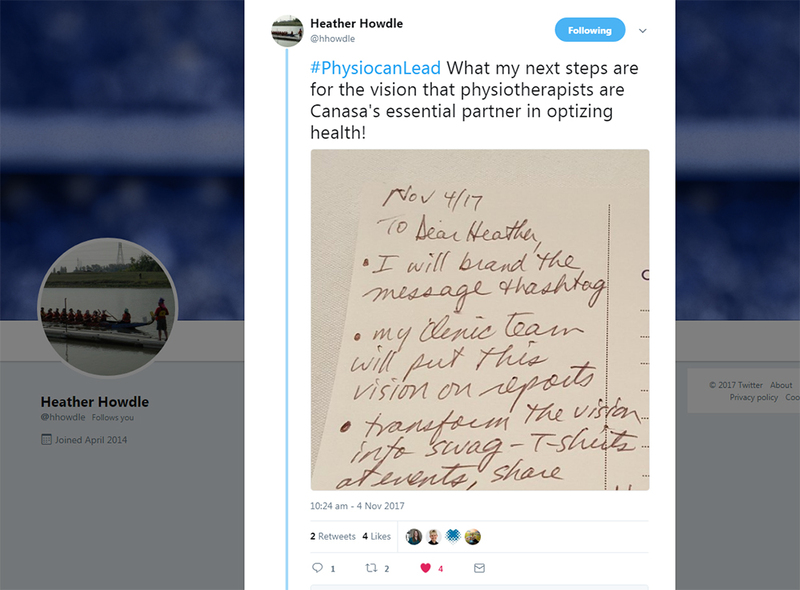 Physiotherapy shared vision from CPA’s Strategic Plan 2018-2023: Physiotherapy is Canada's essential partner for optimizing health. Most attendees agreed that the first step is to spread the word within the profession. Forum attendees plan to bring this vision and the things that they've learned during the forum back to their colleagues, staff, and students. Being active members of their communities. 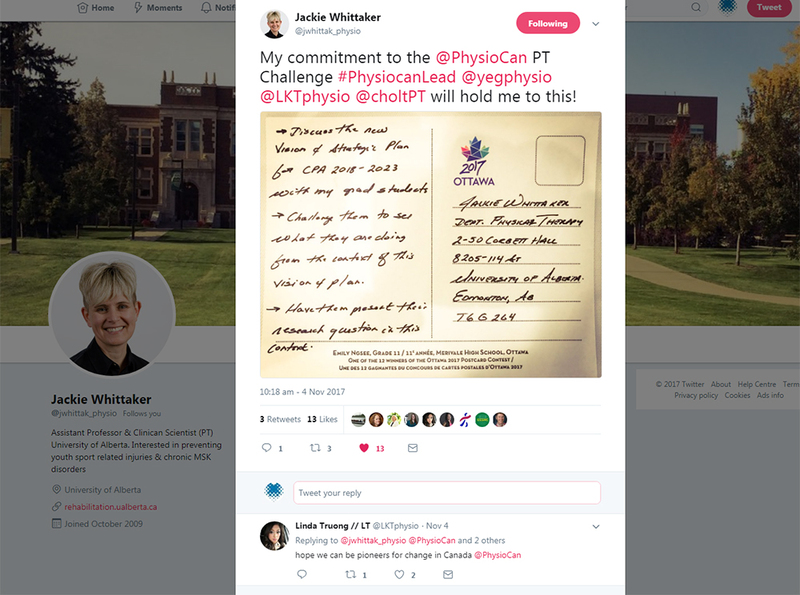 Many have pledged to become more engaged with their local physiotherapy organizations, teaching programs, and teams in the coming months. A few have said that they're planning to stay in contact with the innovators and PT professionals they've met during the Forum and are looking forward to attending future CPA events. Nine people even said that they plan to contact the CPA directly to ask what they can do to help achieve the shared vision. We look forward to hearing from and working with them! 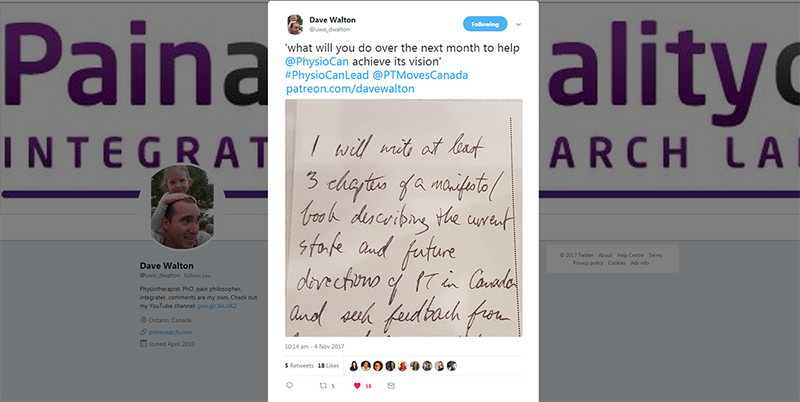 Dr. Dave Walton plans to write at least three chapters of a manifesto on the current state of and the future of physiotherapy in Canada. 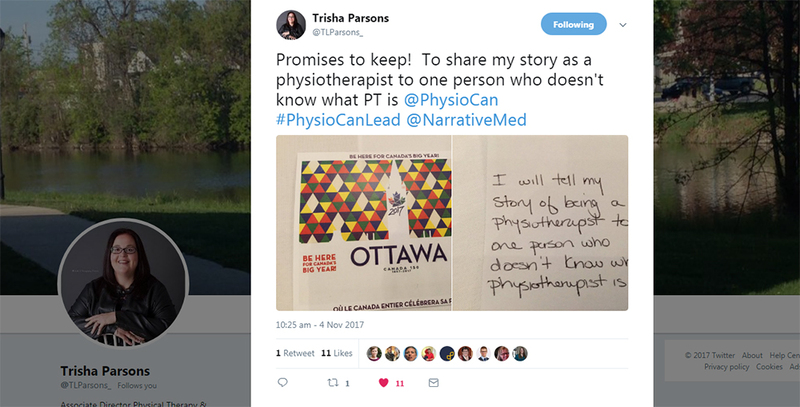 Others pledge to use their writing to not only present research and raise awareness, but to create guides, books, and other teaching or reference documents for physiotherapists and students. 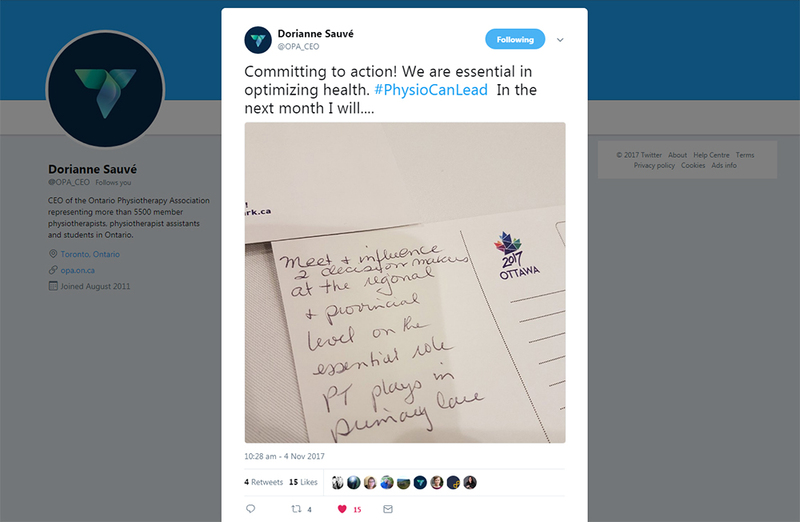 It won't be enough for physiotherapists to know how essential they are to optimizing Canadians' health. 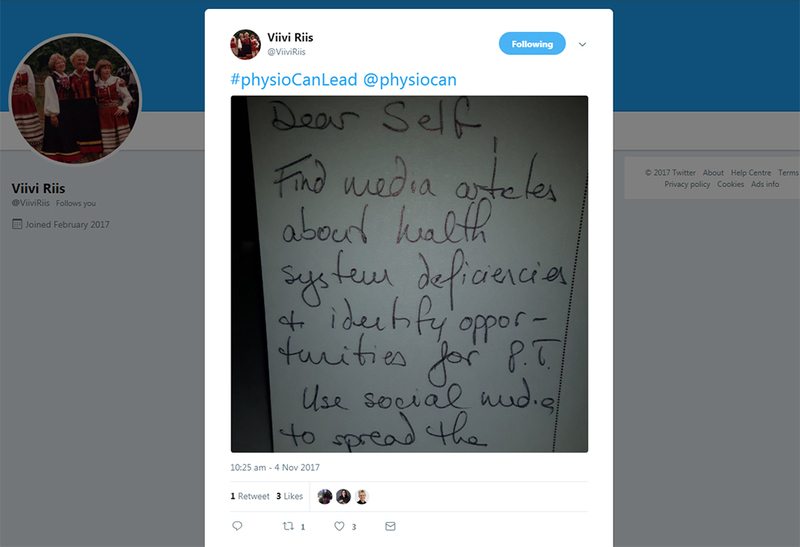 The rest of the country’s health care team needs to know and believe this as well, so that they can work with and refer patients to physiotherapists. 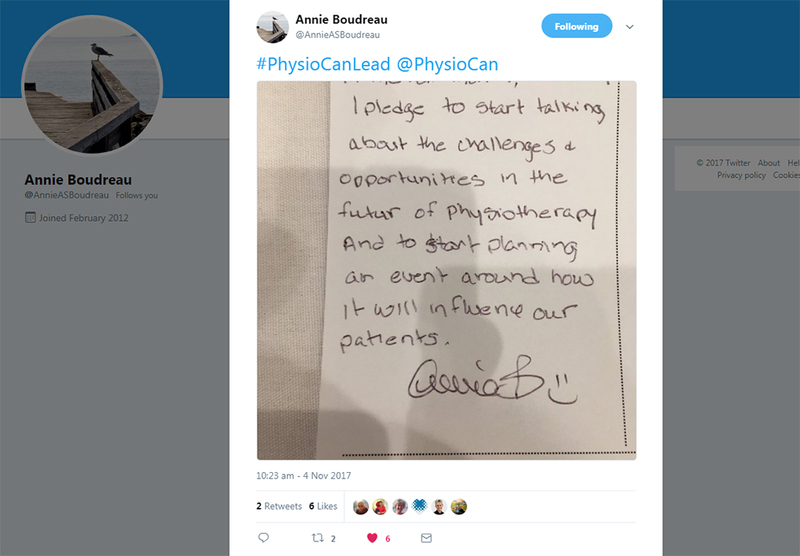 One of the most common sentiments shared by attendees was the desire to raise awareness of the roles physiotherapists can play in health care. 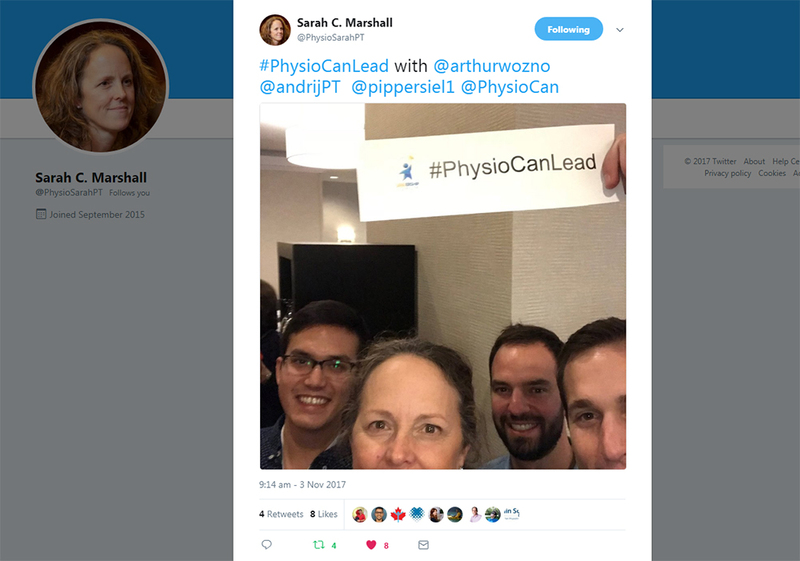 Some physicians, nurses, and other health care providers have misconceptions about what physiotherapists can and cannot do. Some will refer their patients with back pain or sports injuries, but are unaware of the full scope of what physiotherapists can offer their patients. 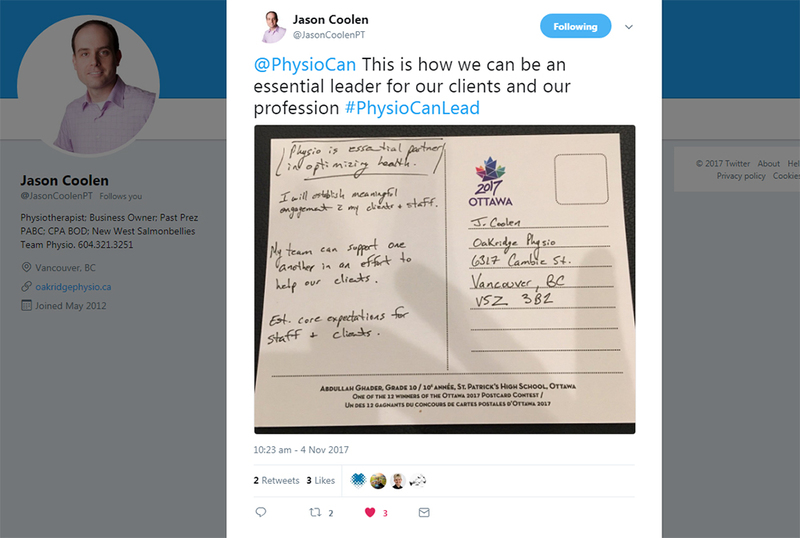 Raising awareness of the vast roles physiotherapists can take on in health care is an essential step. 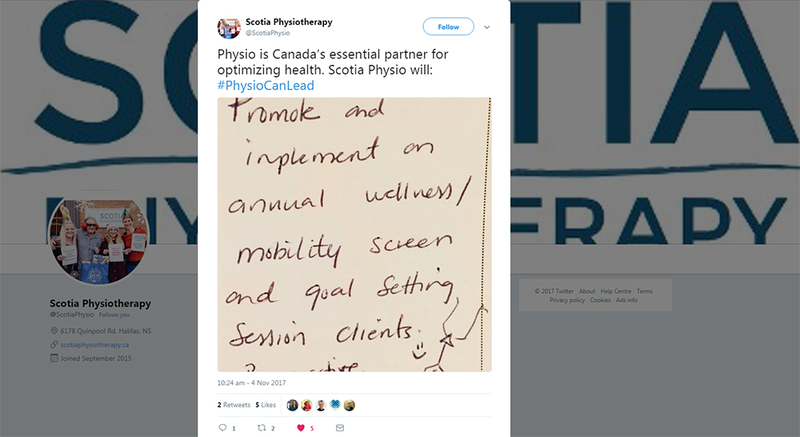 But will it be enough to convince health care professionals that physiotherapists are Canada's essential partner for optimizing health? Do all health care professionals have the same understanding of what fits the definition of essential care? Probably not, which is why a few CPA members plan to host interdisciplinary discussions to work on defining and expanding the term. If physiotherapists and other health care professionals know the value of physiotherapy, this message will also start reaching the public. Having a limited or misinformed understanding of physiotherapy is a barrier to accessing treatment. Patients can't seek out services or recommend them to others if they don't know they exist. Some attendees plan to talk directly with their patients about the value and roles of physiotherapy in health care. Others are planning to do what they can to advocate for the profession and its patients. Several attendees have identified issues that are close to their hearts. One that came up again and again was the need for accessible physiotherapy services for the uninsured and for rural and indigenous communities. Some physiotherapists plan to address this by contacting decision-makers to inform them on issues and how physio can help. While reviewing these postcards, it became clear how passionate CPA members are about their profession and that they have the drive and determination to turn their ideas into action. 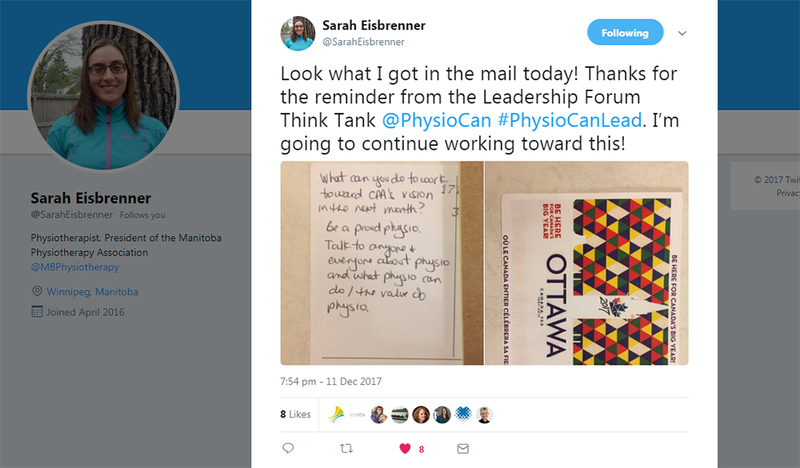 Whether it's a long-term project, starting a conversation, or anything in between, there's so much that can be done to inform health care professionals, decision-makers, patients, and the rest of the public about the value of physiotherapy. The Leadership Forum has ended, but this activity doesn't have to. 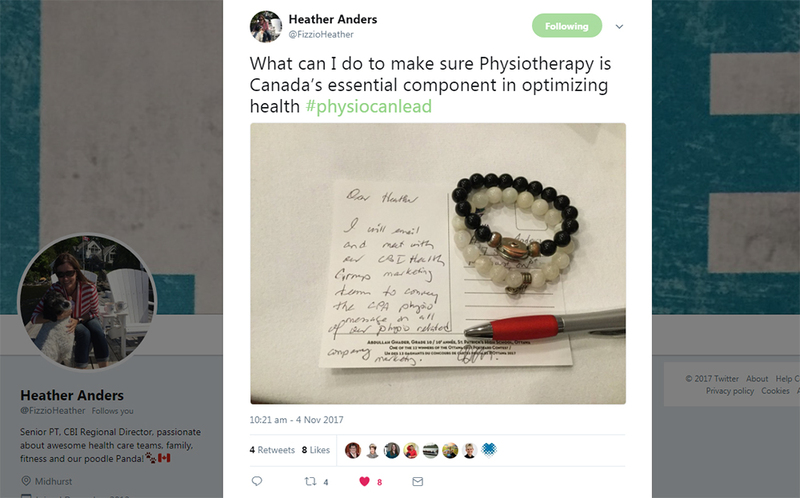 Let us know what you plan to do in the next month to make physiotherapy Canada's essential partner for optimizing health!